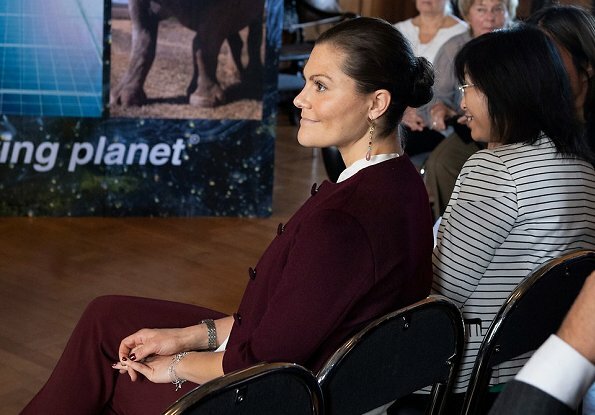 On October 10, 2018, Wednesday, King Carl XVI Gustaf and Crown Princess Victoria of Sweden attended WWF's 2018 autumn meeting held at Ulriksdal Palace in Solna. 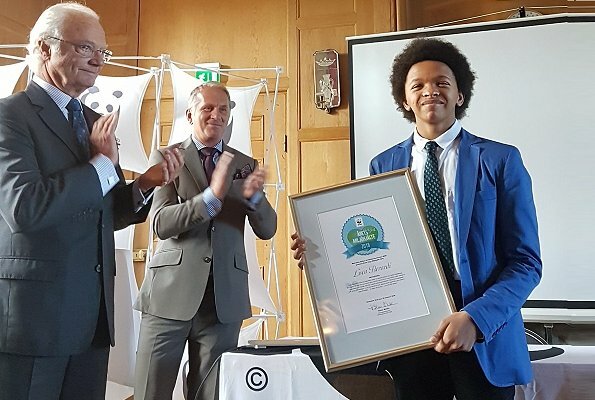 The King presented WWF's Young Enviromental Hero prize to fifteen year old Luca Berardi. 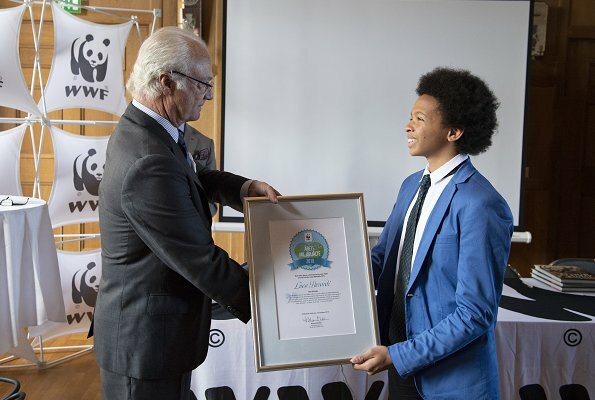 WWF - World Wide Fund for Nature (Världsnaturfonden) in Sweden was established in 1971 for the purpose of making financial contribution to WWF's international operations and allocating fund for research, education and practical nature protection activities in Sweden. 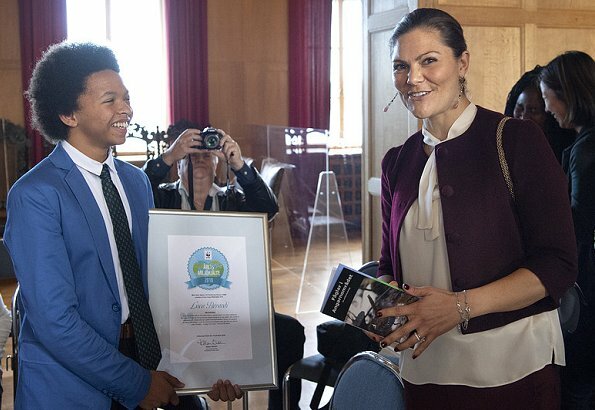 The foundation has a council of 50 people and King Carl XVI Gustaf is the president of the foundation. Great event, lots of happy children's faces. Victoria's suit is nice.